Commercial surrogacy has been legal in India since 2002. India has emerged as a leader in international surrogacy. 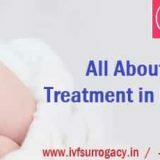 Surrogacy at Indian surrogacy clinics has been increasingly popular with infertile couples, gays and single people from abroad due to relatively low cost. Indian clinics charge intended parents as a package for surrogacy including surrogate mother’s compensation and medical and professional services. Please note that a due to a recent regulation by the government of India only married couples from abroad can now apply for surrogacy in India. Unmarried Indian citizens and singles can still apply. Also, you will need to visit India for surrogacy on a medical visa only. To apply for a medical visa, send us your details here and we will send you an invitation letter to apply for medical visa at the Indian embassy. In 2008, the Supreme Court of India has held that commercial surrogacy is permitted in India. That has again increased the confidence of intended parents in going in for surrogacy in India. Surrogacy in India is unregulated as they yet don’t have legislation controlling surrogacy. Indian Council of Medical Research (ICMR) has set “national guidelines” to regulate surrogacy, these are simply guidelines.It was in baby Manji’s case in 2002 that Supreme Court of India held that commercial surrogacy was legal in India. A surrogacy arrangement should provide for financial support for surrogate child in the event of death of the commissioning couple or individual before delivery of the child, or divorce between the intended parents and subsequent willingness of none to take delivery of the child. The birth certificate will have the names of the biological parents in the surrogacy cases. The surrogate mother’s name and details will not appear on the birth certificate. To get details on the post pregnancy process to take your baby back, click here. In Go Surrogacy packages, we include the legal services of a high court lawyer to draft the legal contracts with your details and the surrogate mother’s details. The contract once drafted will be sent to you on email for your consideration and approval. 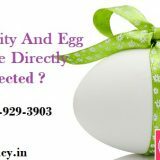 Once you are in India, before the embryo transfer in the surrogate, the contract will be signed by all parties. If you wish, you can meet the lawyer too. Once notarized by the court, a copy of the contract will be sent to you. For the exit of the baby from India to your country, normally a lawyer services may not be required and hence they are not included in the contract. The lawyer can be contracted for exit services on a direct payment basis, if needed.